I had a sewing play date at my house yesterday with Sue from Mother Patchwork. The thing I love about sewing days is that you can get hand sewing done while gossiping and swapping stories, and its pleasant to spend time sewing with people that enjoy doing the same type of things that you do. You can legitimately sew and nobody looks at you slitty eyed like they do when you drag your sewing along to other social events where non sewing individuals are in attendance. Everything was going swimmingly. I went all out ( cough cough) and did a make your own roll platter for lunch and chucked some non Krispy Kreme donuts on a plate for dessert. Sue brought awesome home-made cookies and I chucked those on the plate as well. I wolfed down a donut and was contemplating a cookie ( and just how many donuts and cookies I could eat before I had to stop out of politeness sake so I didn't look like a complete pig and I had just decided two donuts and two cookies wouldn't be too much ) and was moving my hand towards the plate when Sue leapt across the table in slow motion yelling *"Noooooooooooooooooooo" and rugby tackled the plate to the ground which left me thinking "Sheesh -she must love donuts more than I do". From the floor where she landed, amongst the debris of the plate, the donuts, the cookies and the cat water bowl she explained that she had forgotten my deathly nut allergy and that there were Macadamia nuts in the cookies (but informed me specifically that there were also white chocolate chips as if somehow that would cancel out the nut stuff). I'm calling that attempted murder in the second degree and I'm assuming that at the last minute she decided she couldn't go through with it. I'm not sure what her motive was - maybe she wanted to rifle through my stash but realised after seeing it that we don't have the same fabric tastes and that it wasnt worth of potential jail term for a load of Amy Butler and Bonnie and Camille. I've forgiven her because thats the kind of person I am, but when we next meet up I'll be taking a CSI kit to test all the food prior to eating and my Epi-Pen. * Some poetic licence has been taken in the re-telling of the facts of this story. The leap across the table didn't occur, nor did the crashing to the floor, or the breaking of a plate or the loss of donuts, cookies or a cat water bowl. Technically, that's not lying - thats embellishing a story to make it sound more interesting to your readers. I'm binging on Macadamia nuts at the moment. OMG didn't know you were allergic to them. I'd stick with the safe donuts. Who wants to eat health food anyway? If you're going to tell as story, you have to TELL a story. You've done well - not only in the story telling but also avoiding an obvious assassination attempt. You deserve a donut! Well, it was a good story - even if it was embroidered somewhat, which is all right for a sewing day. Thanks for the story about the attempt on your life. I could visualize everything that happened. 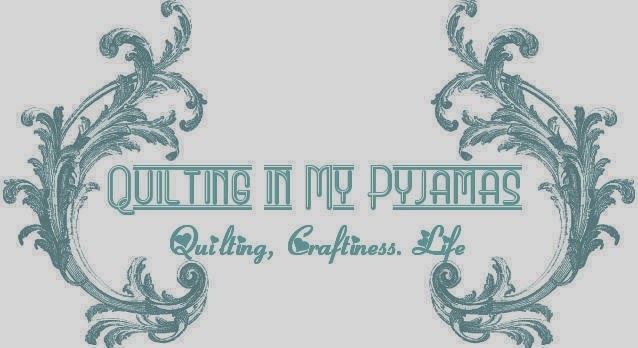 Perhaps you could write a book about your adventures,just when your sewing mojo takes a leave of absence of course. Love the embellished story. And she admitted her crime! Good times, good times. Thanks for the visuals and the chuckle! I agree about the attempted murder, my husband tries to kill me regularly with his driving!Still, at least she tried to pacify you first with a lovely gift. Sounds like a lovely party of sweet (well mannered) ladies. I'm surprised the beverages weren't spiked! Well I'm happy she remembered before you took a bite, but I so loved your funny post!!! You are too much. You, embellish a story? I would never have guessed. Glad you had a lovely time despite the fact that Sue was contemplating knocking you off. Ummm I've always wondered about Sue she has a shifty look about her. Glad you made it through the afternoon the cookies did sound delicious though. No, I don't believe you made any of that up ! you're just being nice so we won't think badly of Sue showing her real colours !! Always an entertaining read, don't tell me it all isn't real. Oh no I forgot to tick that box again !! Oh my goodness! Close call. Hope the cookies were worth being thrown to the floor for Lol! Poor Sue! But I do love a good story. Glad you have survived. Well there you go, proof that donuts are the healthy way to go. Oops I have to add - those chicken mitts are super cute!!! Damn, those cookies look good too. Close call! Shucks my internet goes haywire for 24 hours and I find myself slandered all over it! I so wish I was athletic enough to throw myself across the table, but really I would be lucky to get under a bus! I am sure if I look hard enough I will find a recipe with nuts and mushrooms...that looks like donuts! Only joking, glad your OK and still producing gorgeous quilts! I guess the comment I composed in my head never made it to this little box. Sheesh, I'm getting dotty! I had the whole slow-mo movie playing in my mind as you described the scene. I'm so glad it ended without a trip to the ER! I'm so glad her plot didn't work .. or that she decided to wait a little longer before getting her hands on your stash .. did you consider that? I'm so glad you survived that close call. I'm away from blogland for a bit you have all kinds of excitement going on.